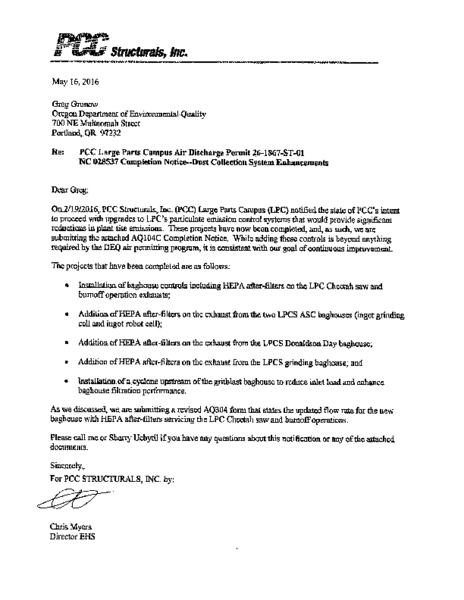 Notice of Intent to Construct, issued to DEQ 10/26/2016, for the LPC facility. 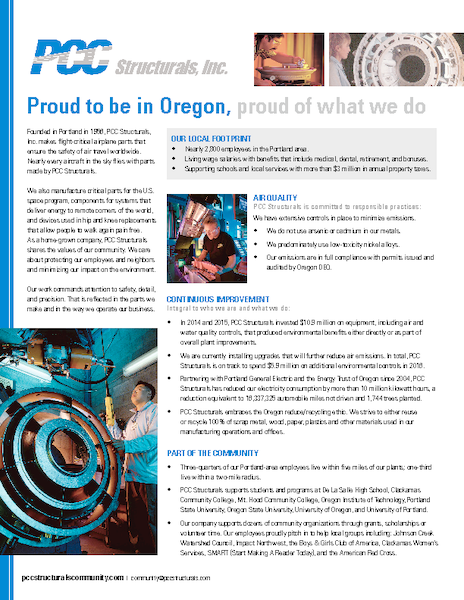 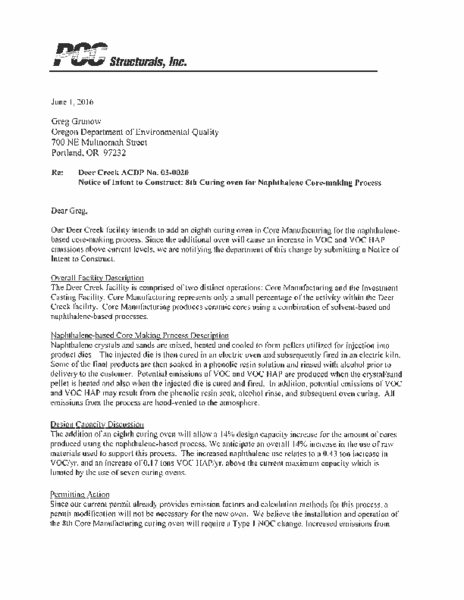 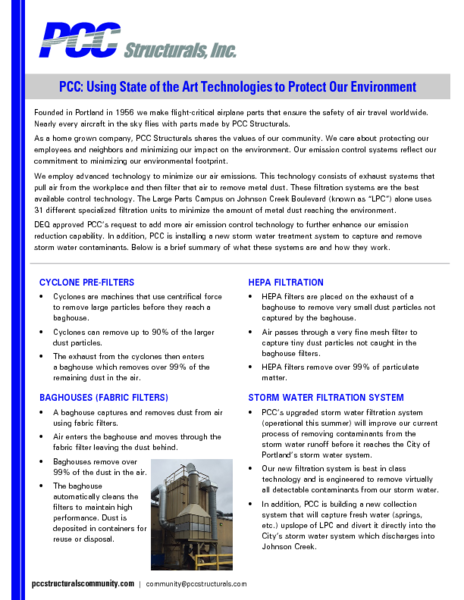 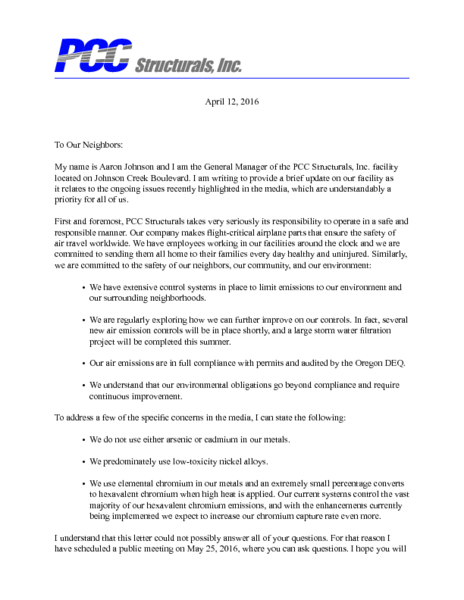 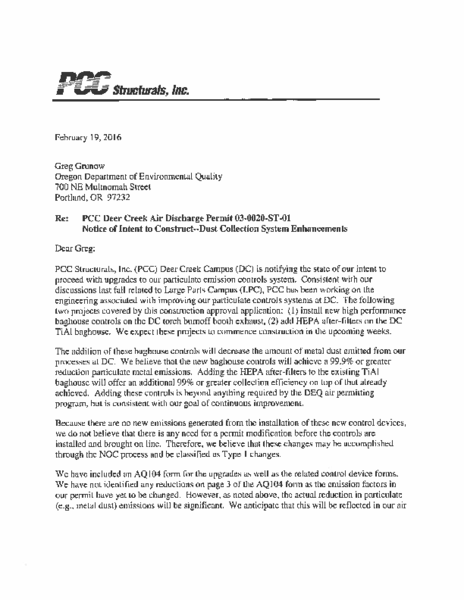 Letter to Oregon DEQ -- accompanying Nickel Alloy Bioavailability whitepaper. Sent June 14, 2016. 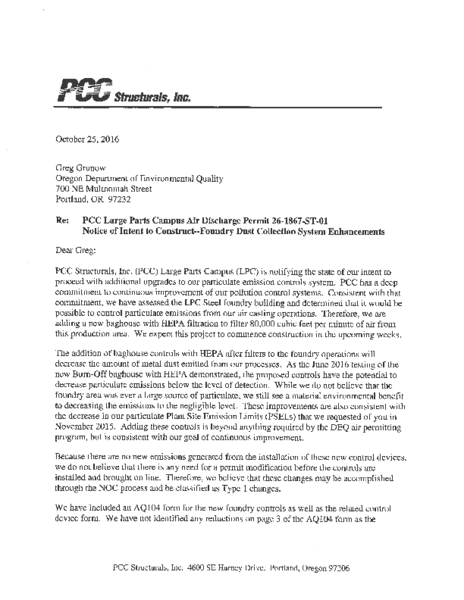 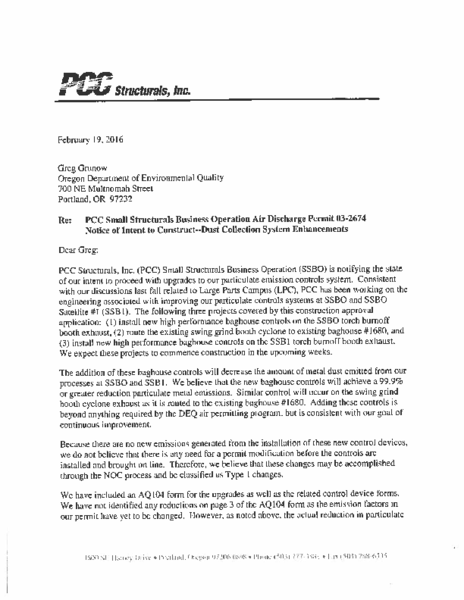 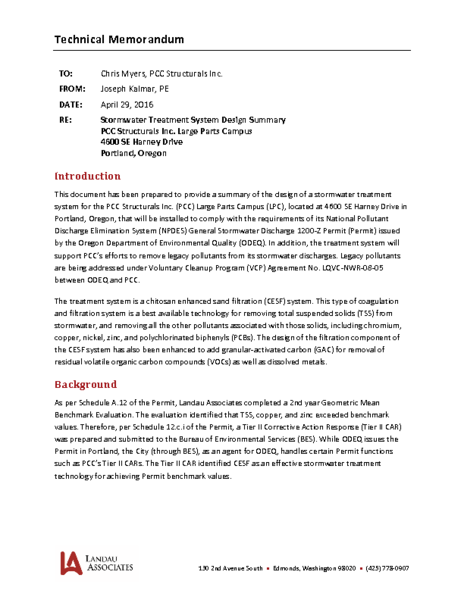 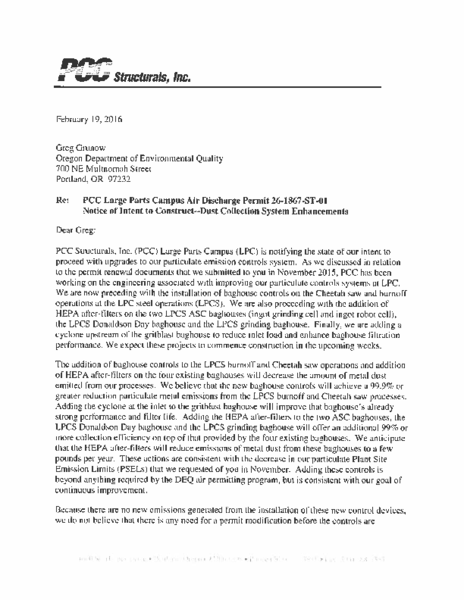 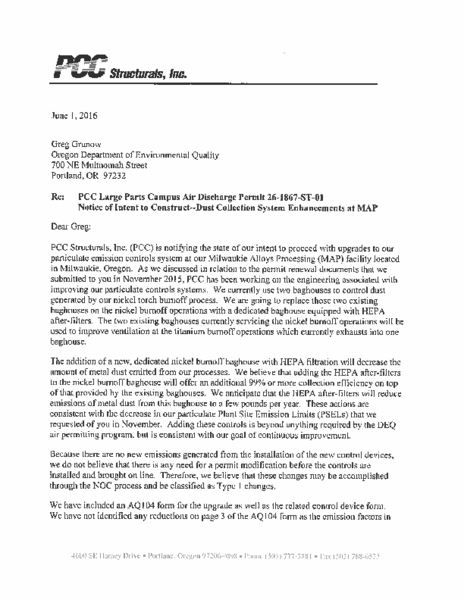 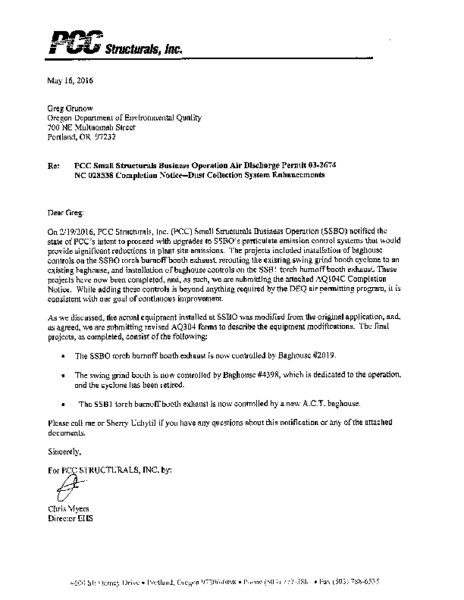 Letter to Dr. Pete Shepherd, Director, Oregon DEQ accompanying Nickel Alloy Bioavailability whitepaper. 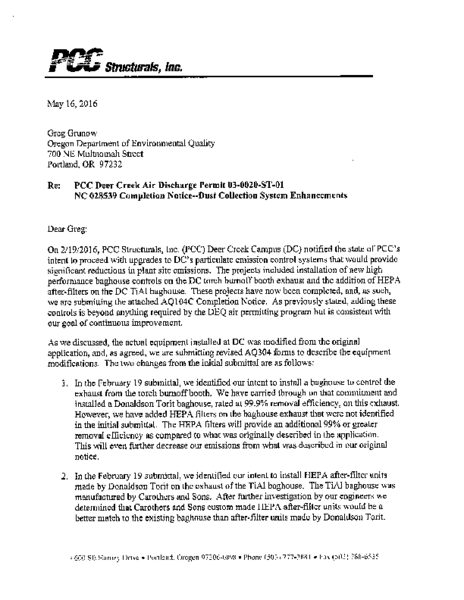 Sent to DEQ on June 14, 2016. 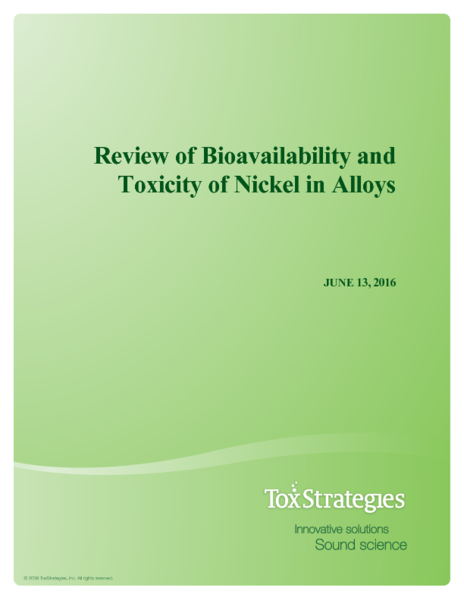 Research whitepaper regarding the bioavailability and toxicity of nickel in alloy form. 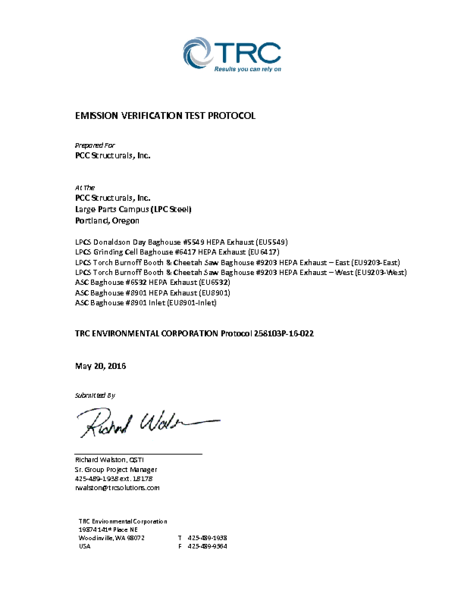 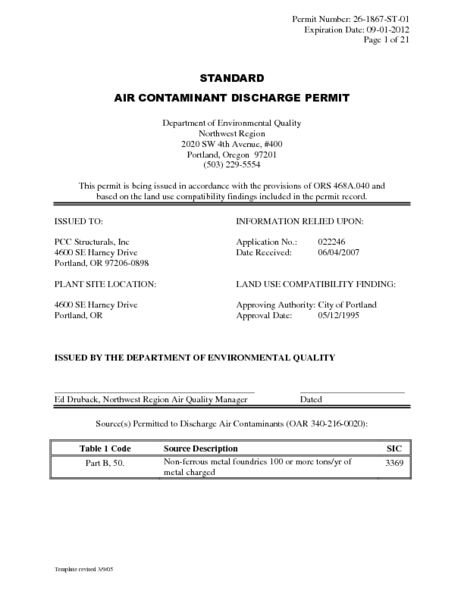 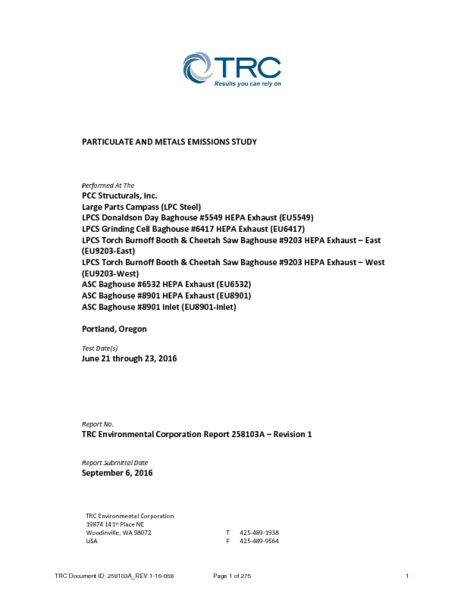 Testing plan as developed by TRC Environmental Services, and submitted to DEQ on 5/20/16. 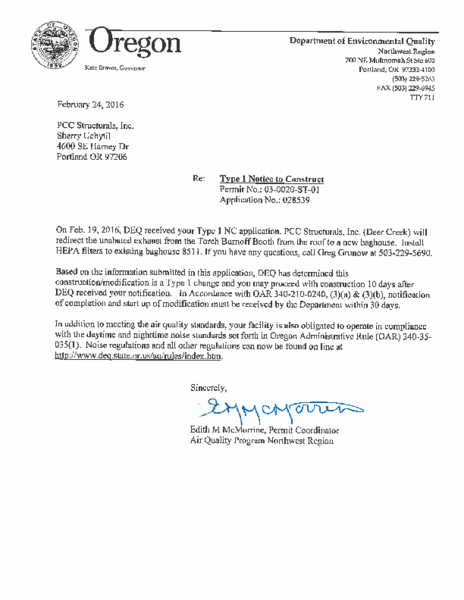 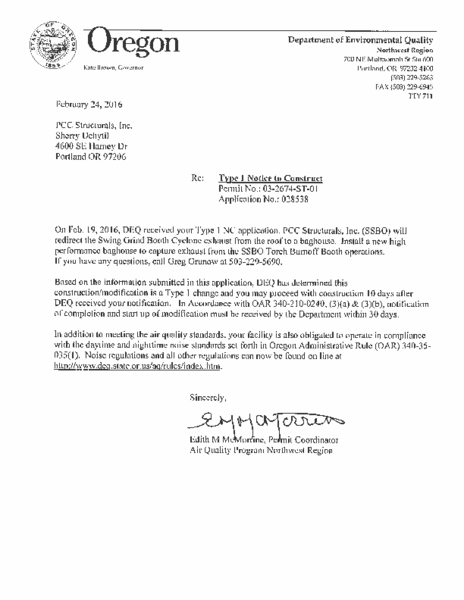 Notice of Intent to Construct, issued to DEQ 6/1/16, for LPC/MAP facility. 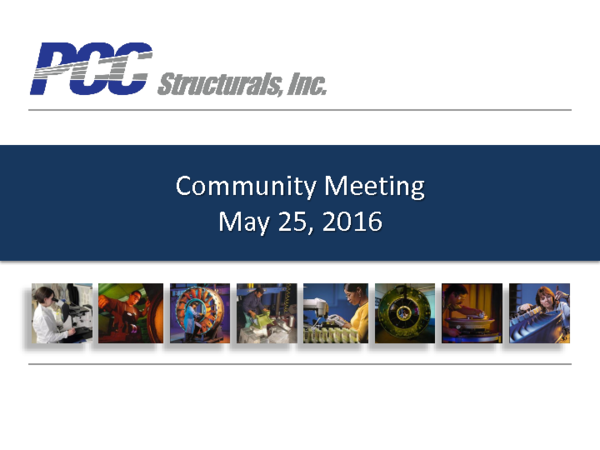 Presentation delivered at May 25, 2016 community meeting. 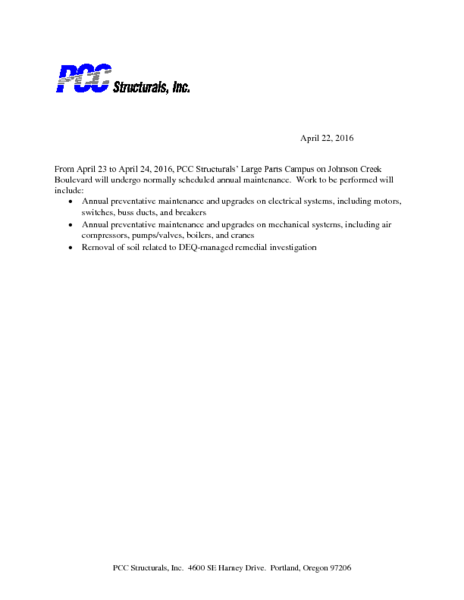 © 2016 Precision Castparts Corp. All Rights Reserved.